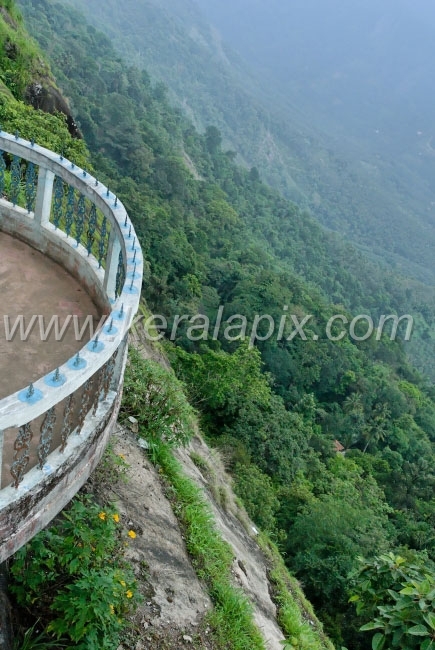 The Kerala State Electricity Board has constructed a two stored building having balconies on the edge of the mountain top under their new tourism venture called Hydel Tourism Project. 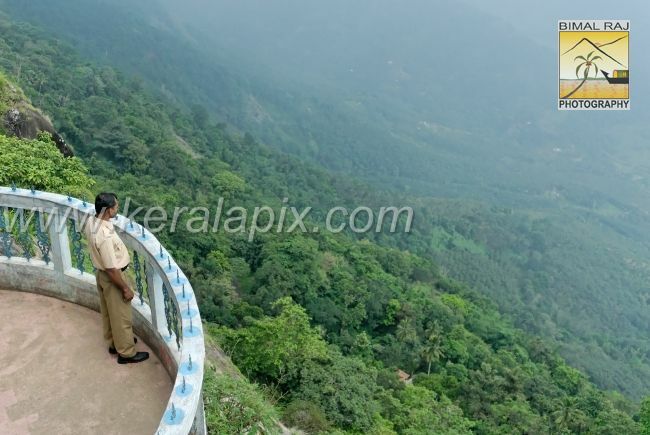 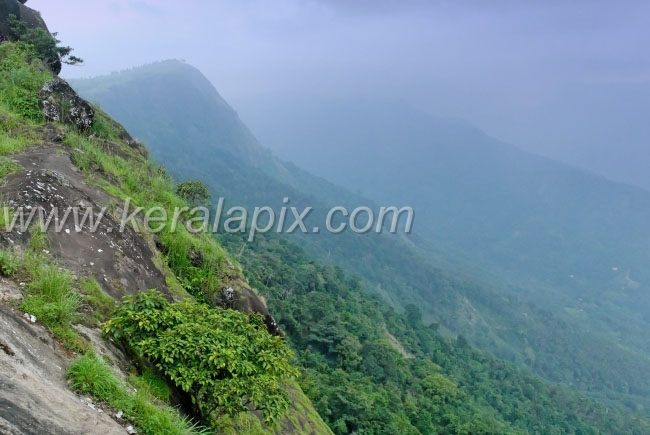 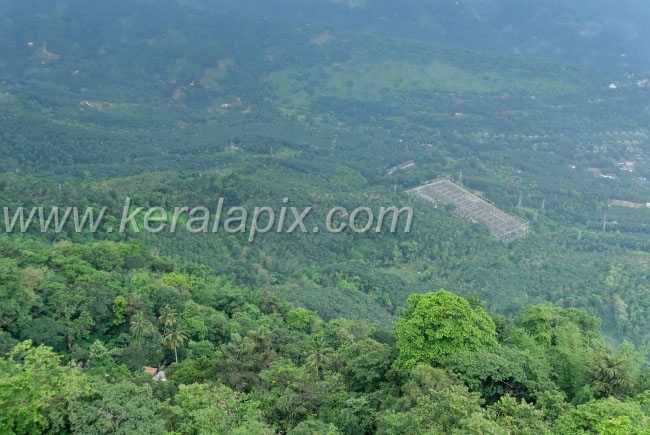 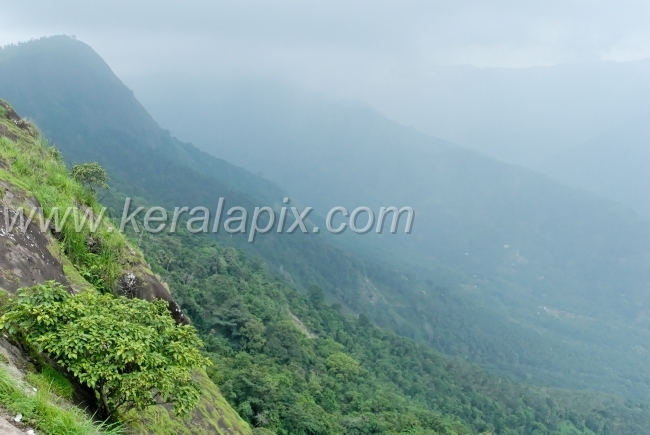 From here tourists can watch safely the beauty of the nature, the Moolamattom Power station, Moolamattam town below and even the far away Thodupuzha town when the sky is clear. 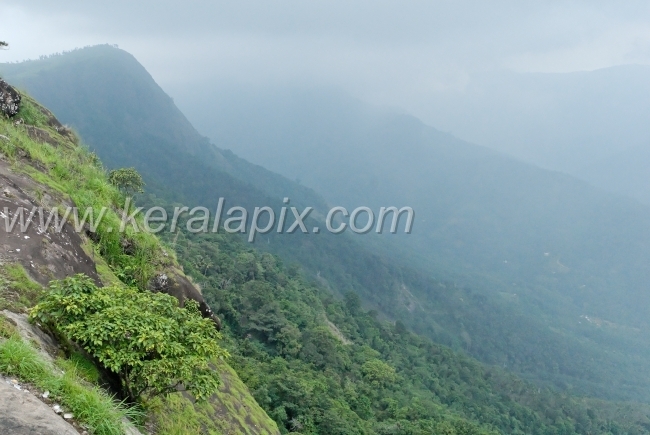 When I took these shots, it was totally misty. 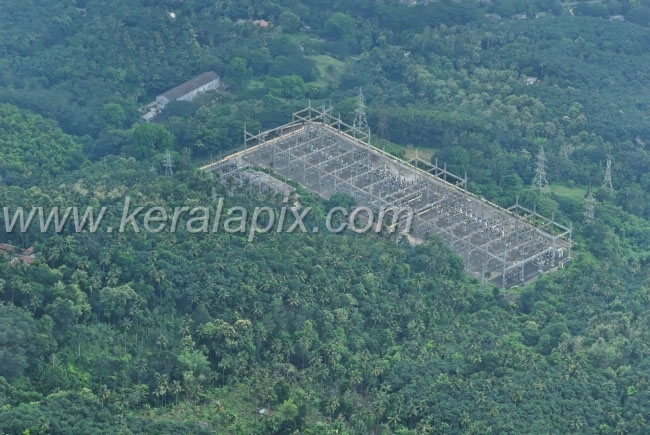 It is said, the water from the Idukki reservoir is brought through under ground tunnels to the turbines in this power station for generating electricity.